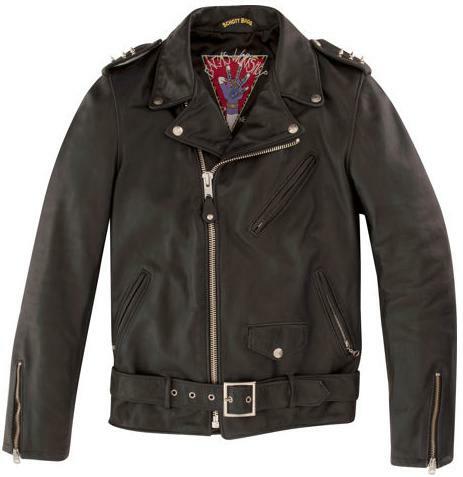 Schott NYC is on an weird-but-awesome collab tear lately. Yesterday, we broke the news they had just done a Motorcycle jacket with Restoration Hardware, now they are doing an exclusive Perfecto Morotcycle Jacket ($675) for pop diva, Lady Gaga, and her Barneys Holiday Workshop. The pop up shop at Barneys NY, which opened on Monday, dropped a couple of exclusive items and this beautiful cowhide leather jacket with studded leather epaulettes is one of the feature items.